Offering significant exemptions from the main professional bodies in the field, this degree provides excellent preparation for a career in business, but particularly in accounting or finance. You’ll also develop a strong base of knowledge and skills that will put you in a good position to launch a variety of exciting careers in other sectors too. Throughout the course you’ll develop a deep understanding of the way financial information is used and managed within organisations and how it is reported, both internally and externally. You’ll gain a mature understanding of the modern economy, the nature of business and the role that accountancy and finance can play within it. Core modules will develop your mathematical skills and give you a broad understanding of key topics in economics, financial and management accounting, corporate finance and financial analytics. You can also tailor your studies to suit you with optional modules as diverse as forensic accounting, corporate social responsibility and strategic management. 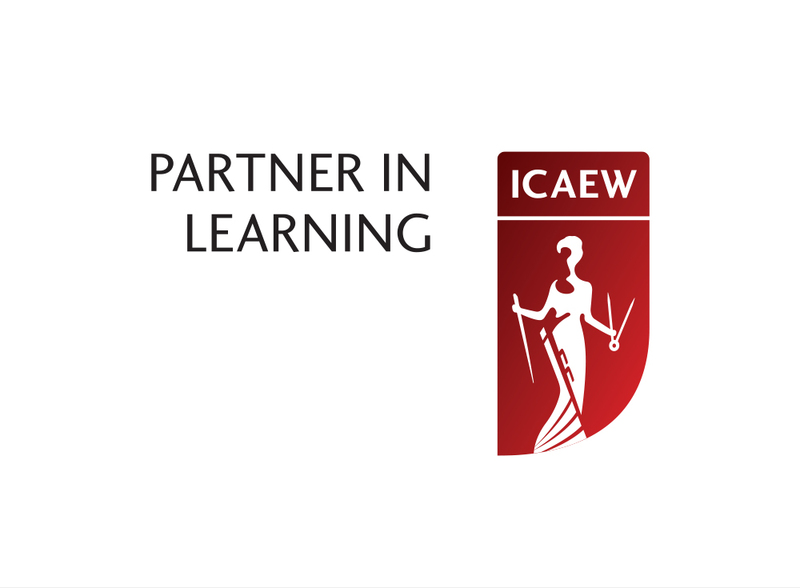 This is an ICAEW Strategic Partnership Degree. Recognised as a University Affiliation Programme (UAP) by the Chartered Financial Analyst (CFA) Institute. eleven exemptions from the Chartered Institute of Management Accountants (CIMA). Our degrees have a modular structure. This means that compulsory modules provide you with the core knowledge and skills that you need, while optional and discovery modules allow you to shape your course to suit your personal interests and career aspirations. Year 1 comprises a set of compulsory modules that lay the foundations of your studies. You’ll develop the mathematical knowledge and skills you need and be introduced to key financial and economic principles, as well as the fundamentals of financial and management accounting. In Year 2 you’ll build on this knowledge base: compulsory modules will develop your understanding of corporate finance and financial and management accounting, as well as helping you to develop skills in research methods and analytical techniques. Optional modules will focus on a range of topics within economics, or areas like the complexities of corporate social responsibility or the legal context in which businesses operate. When you enter your final year, you will have developed high-level research and analytical skills. You’ll apply these to a project that runs throughout the year, which could be either a research dissertation on a topic of your choice or a piece of financial analysis. You’ll also explore advanced topics in finance and accounting. Optional modules will span diverse topics from auditing to corporate governance and taxation. You’ll be taught using a range of methods including lectures, tutorials, seminars and workshops. The rest of your time will be spent in independent learning, which allows you to develop your skills in research and analysis. Our Virtual Learning Environment will help to support your studies: it’s a central place where you can find all the information and resources for the School, your programme and modules. In Year 1 you’ll also benefit from dedicated academic counselling from your Head of Year, a lecturer in your subject area who will meet you individually during the year and act as a personal tutor. We use a variety of assessment methods to help you develop a range of transferable skills that you’ll need in professional life. These are likely to include coursework, exams, oral presentations, group reports and dissertations. Mathematics grade A/7 and English Language grade B/6 or equivalent, or an appropriate English language qualification. Read more about UK and Republic of Ireland accepted qualifications for this course. We consider the Access to Higher Education Diploma to be suitable for mature UK/EU applicants (21+ at the start of the undergraduate programme) who have been out of full-time education and have not passed or completed qualifications that would allow them to study at degree level (for example, an applicant who has left school after completing GCSEs). Applicants must complete a Business-related diploma of 60 credits with 45 credits at Level 3. A minimum of 30 Level 3 credits must be awarded at Distinction level and 15 at Merit. Applicants are expected to meet the GCSE Maths and English Language minimum requirements for their chosen degree programme. Please note, all who apply with the Access to Higher Education Diploma are interviewed and must present a recent piece of academic writing for review. We will consider BTEC qualifications alongside academic A-levels. Read more about our BTEC entry requirements. D3, D3, M1. Please note that this requirement excludes the Cambridge Pre-U Certificate in Global Perspectives and Independent Research. We also consider applicants who offer a combination of Pre-U and A-Level qualifications. 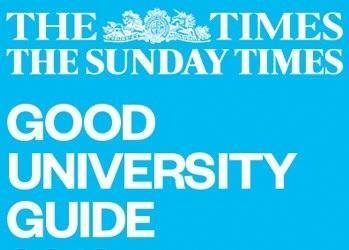 Please contact lubsugadmissions@leeds.ac.uk for further advice. 35 points overall including 5 in Standard level/Maths Studies or 4 in Higher level Maths and 5 in English (Standard or Higher Level), with 17 points from Higher Level subjects. For those candidates who meet our Maths or English requirements through another qualification, these minimum points for Maths or English in the IB Diploma do not apply. If you are presenting Literature and Performance as one of your International Baccalaureate subjects, you will need to present a separate English qualification. Applicants must obtain 6 H2 grades in the Irish Leaving Certificate (Higher Level). Maths and English Language will be accepted at Ordinary level in lieu of GCSEs. A grade of O2 is required for GCSE A/7, and a grade of O3 is required for GCSE B/5 (Maths) or GCSE B/6 (English). Scottish Highers and Scottish Advanced Highers are acceptable for entry onto our degree programmes in the following combinations: six Highers at AAAAAA or one Advanced Higher at A with five Highers at AAABB, or two Advanced Highers at AA with five Highers AABBB. We will also accept three Advanced Highers at AAA. Intermediate 2 / National 5 Maths and English are acceptable in lieu of GCSE requirements on a grade for grade basis. The deadline for international students to apply to Leeds University Business School courses is 30 June. We offer two achievement-based scholarships schemes specifically for BSc Accounting and Finance students: The Head Start Achievement Scholarship and the Top Ten Achievement Scholarship. A large number of graduates have of course become qualified accountants but there are a variety of options available to you as a graduate. For example, recent graduates have gone on to work as Retail and Investment Bankers, Management Trainees, Civil Servants, Brokers, Auditors, Finance Analysts, Insolvency Administrators, and Tax and Business Advisors. You will be supported throughout your studies by the Business School’s dedicated Employability and Opportunity team who will help you develop and demonstrate the professional skills and experience that top employers are looking for through one-to-one support, workshops and lectures from graduate employers, including PwC, L’Oréal, Mars, Unilever and SMEs. The Employability and Opportunity team also work with a large network of experienced professionals from companies such as Barclays, M&S and KPMG, who volunteer as mentors on our Nurturing Talent Mentor Scheme. Applying for the scheme is a competitive process and it offers Business School students a wide range of benefits as they are mentored on a one-to-one basis for one academic year. In addition, Leeds University Business School students also have full access to the University Careers Centre and Centre for Enterprise and Entrepreneurial Studies. Leeds for Life is our unique approach to helping you make the most of University by supporting your academic and personal development. Find out more at the Leeds for Life website. Practical work experience can help you decide on your career and improve your employability. On this course you have the option to apply to spend a year on placement with organisations across the public, private and voluntary sectors, in the UK or overseas. EU students with a viable business plan have the opportunity to apply for a year in enterprise as part of this course. During this year you will start your own business with support from the University including advice, office space and living costs allowance. My studies have already included Accounting, Finance, Economics, Statistics and Management, and this has given me a fascinating and diverse insight into the world of business. There are a lot more opportunities in finance and a lot of employers visit the university on a weekly basis giving presentations and workshops. The best part is the seminars, which are very interactive. The tutors are supportive and very passionate about their subjects. Combine core knowledge and understanding of international business with the study of accounting and finance. Gain understanding of economic theory combined with an understanding of the financial foundations of firms and of financial markets and institutions. This course prepares you for a career in banking and financial services.